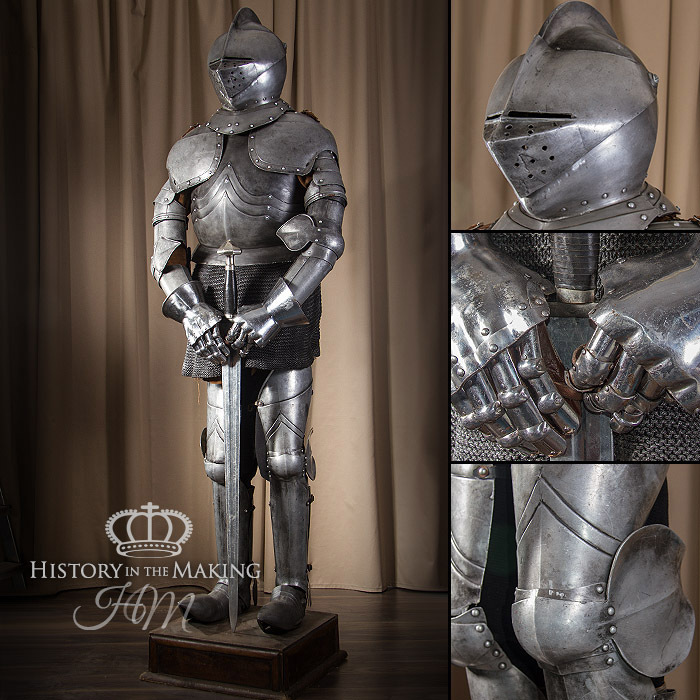 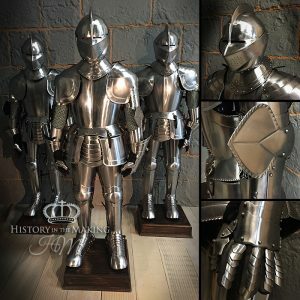 We have a vast array of complete suits of armour and also component parts of armour. 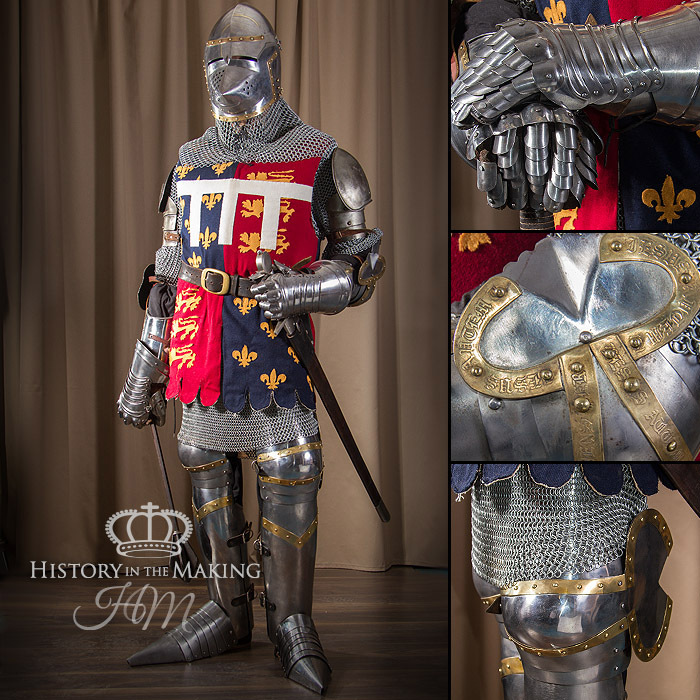 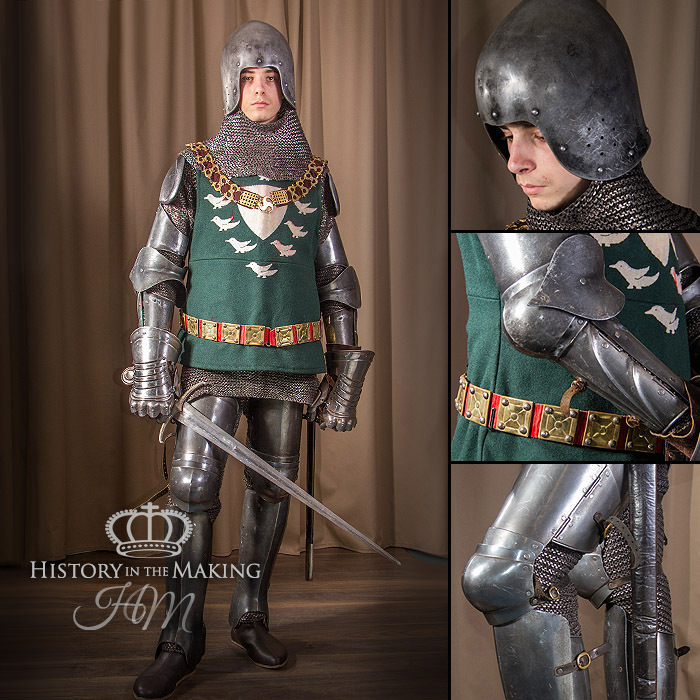 Using comparable pieces it is possible to construct sets of armour to cover most types and styles used throughout the period of History where this type of body protection was worn. 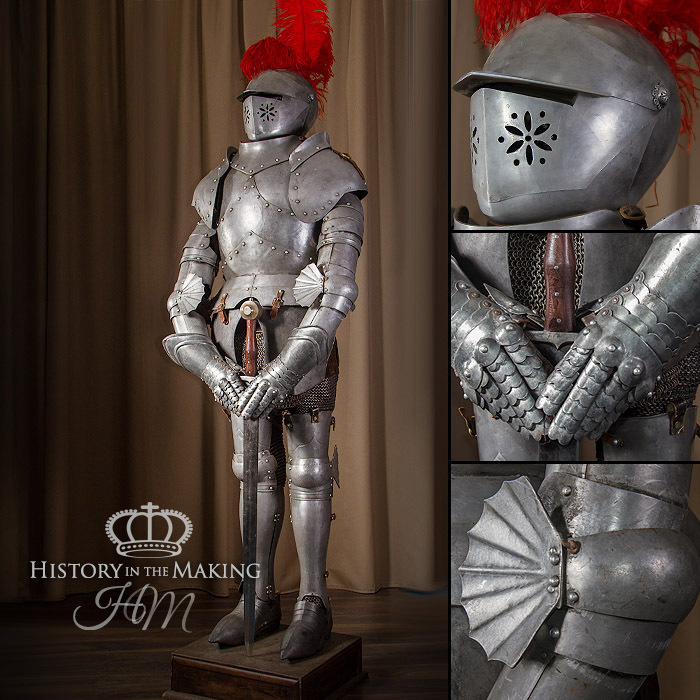 We have a stock of steel reproduction armour and also Pieces fabricated from GRP and also Vac-Formed ABS plastic. 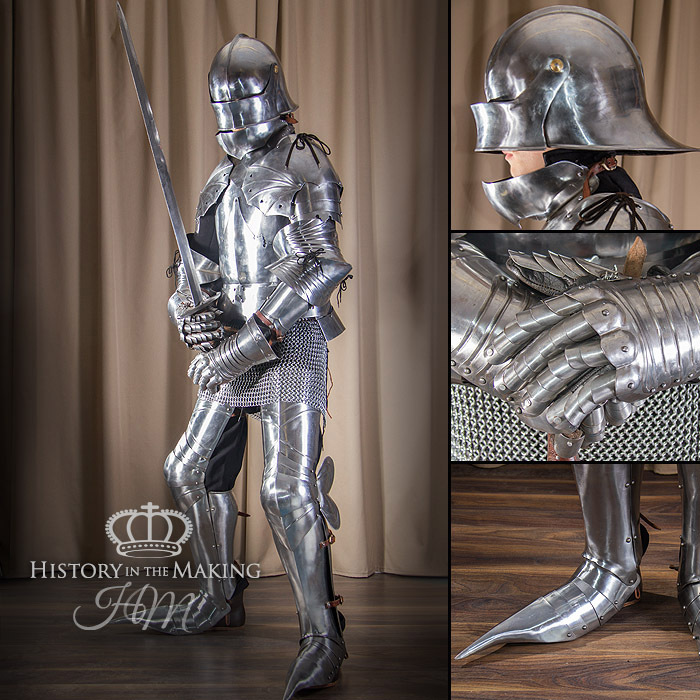 The following images are just examples for demonstration purpose only.